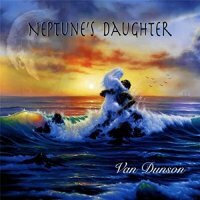 Van Dunson is an American singer songwriter who released a self-titled album back in 1979 on a small German label called Strand Records. This is a fantastic slice of well-crafted AOR with a nod to the likes of Toto, Queen, Charlie, ELO et al and deserves a place in any serious collector's stash. Sadly, the album didn't sell well and Van Dunson fell off the radar. 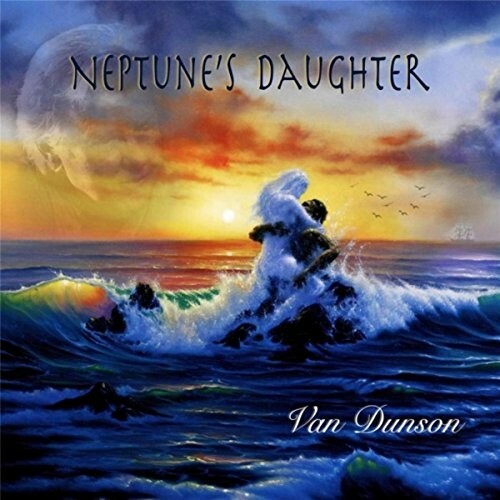 Forward thirty-eight years and in late 2017 news of a new album came through, so I did some digging around and managed to connect with Dunson on Facebook and he kindly sent me a copy of the album, 'Neptune's Daughter'. After living with it for a few months I am pleased to say it's a fantastic return and it's great to have him back. It's written and produced by Dunson who sang and played keys, with Hugo Castillo providing guitar, bass, keys, drum programming and vocals. Between them they have produced a wonderful piece of work that will easily sit alongside the likes of the bands mentioned above. Comprising eight songs mostly clocking around the five-minute mark there is plenty to discover with varying tempos, lots of layers of instrumentation awash with some superb keyboard playing and guitar work. It's hard for me to pick out a favourite track as they are all great, but 'Alpha Blue' probably edges it, being an up-tempo number which wouldn't be out of place on any Toto album. Other contenders are 'Can't Get You Out of My Mind' which reminds me of Gowan, the title track 'Neptune's Daughter' with its layers of melodic keyboards and the superb 'You Out There And Me In Here' coming across like a mix of Saga and Styx.